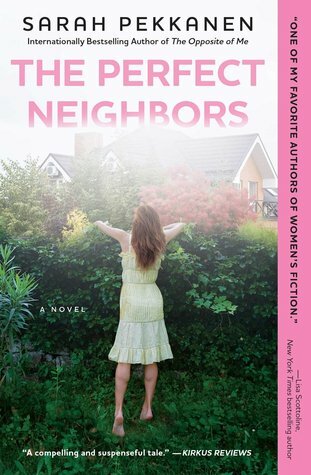 Perfect Neighbors takes us into the homes of an idyllic suburban neighborhood where we discover the burning secrets hiding just below the surface. I picked this up on a whim. I can't even really remember where I saw it recommended, but I'm glad I took a chance on it. I feel like this is more in the vein of Liane Moriarty than the other authors Sarah was compared to. This is a story of four very different women that all seem to have one things in common: they've all got secrets. Oh, and they're all pretty much bet friends, too. Each of these characters will stick with you in a good way. You can see that these four women only want what's best for their families, even though their ways are a little unconventional. Kellie is struggling with her identity in the business world, Susan is trying to be a mom and a dad for her son, Gigi just wants her daughter to love her, and Tessa has a huge secret. The way these women build their relationships is written beautifully. It's raw and sweet and feels very, very real. I loved that, at the end of everything, their families are what takes precedent over all else. They learn to make sacrifices, forgive, and love again...all within three-hundred-and-something pages. These were four very different, very well-written stories about women just trying to make it in the world. I will definitely be checking out some of Sarah's other stories.